SepPDF is a tiny PDF file splitter with drag-and-drop support. How to extract: Download the ZIP package and extract to a folder of your choice. Launch SepPDF.exe. Default action was set to 2-pages displayed file to 2-pages 1-file split. Useful small footprint PDF splitting tool. EmEditor is a lightning-fast, tabbed text editor with themes, syntax highlighting, stay-on-top and customizable keyboard mapping. The program supports batch find-and-replace, regular expressions and more. How to extract: Download the "portable" ZIP package and extract to a folder of your choice. Launch EmEditor.exe. Skip the 30-day evaluation of the full version by selecting the Tools menu and choosing All Commands. Hover your cursor over Help and select Downgrade. Opening the download page of EmEditor automatically starts downloading the installers (x32 or x64 depending on user's system). I added direct download links to portable versions. 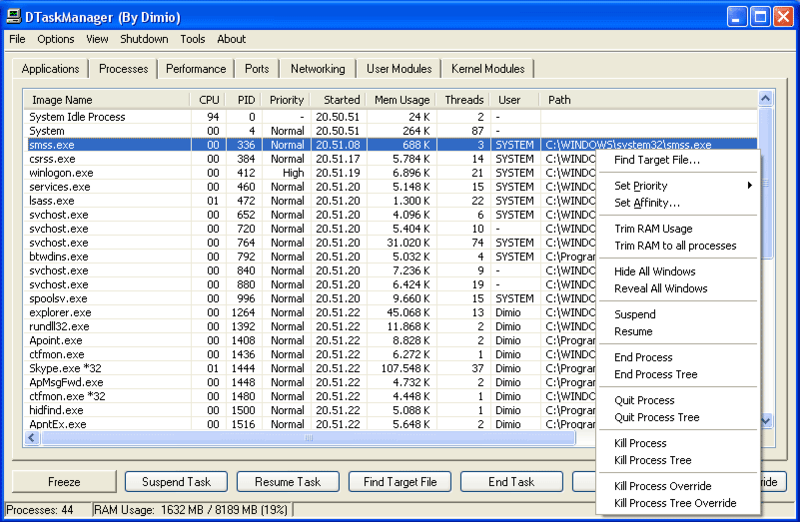 DTaskManager adds additional features above Windows' native Task Manager including batch termination and control over even protected system processes. The program can suspend and reactivate processes (useful for effectively "pausing" a program without closing) as well as automatically managing process priority. When ending a program, three different ways are available to kill a processes, including End, Quit, Kill and Kill Process Override for even increasingly stubborn programs. Note: To save settings check "Save on exit" under the "Options" menu. How to extract: Download the ZIP package and extract to a folder of your choice. Launch DTaskManager.exe. @MIKLO: did you notice Windows 10 isn't listed under system requirements? Now I can try because Windoze 10 is listed in system requirements. 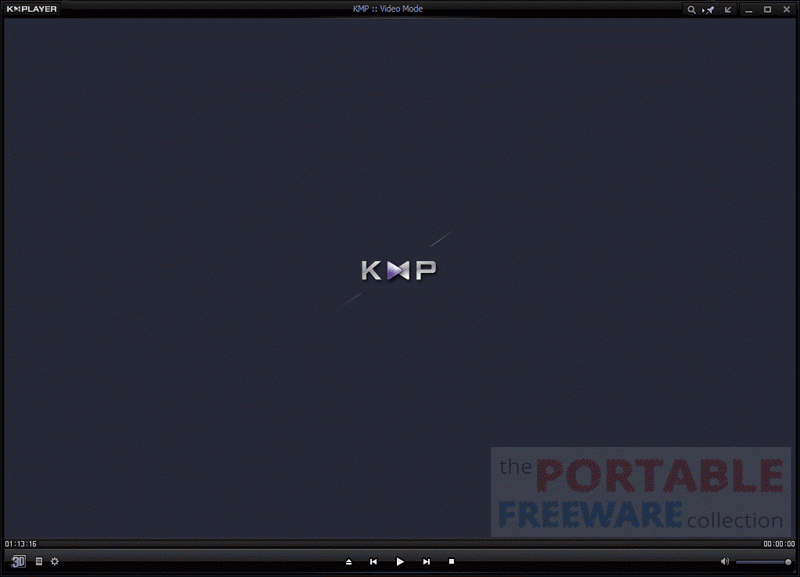 KMPlayer is a audio/video player that supports a wide range of file formats, including AVI, MKV, MPEG, OGM, MP4, ASF etc. without any additional codecs installed. It also has full VCD/DVD playback functionality. In addition, it is able to play incomplete/damaged AVI files, or media files that are locked while downloading or sharing. Note: In the past, this application managed open source components against the terms of their respective licenses. The current status of this is unclear. Download the installer and extract to a folder of your choice. Open "Preferences" window, click on "General", and check "Store Settings to KMPcfg.ini". The folders $TEMP and $PLUGINSDIR may also be removed to save space. webfork: Thanks for answering. It looks like the file I got from MajorGeeks is corrupted because I redownloaded and still didn't extract correctly. I searched for another host and now all the files extract as usual. The Brazilian Portuguese is not the real language, because Files in Brazilian are not "ficheiros". They are called "Arquivos". =( I have to change to English, because Portuguese of Portugal is not my preference. PDF-XChange Editor is a fast, feature-rich PDF viewer and editor with a tabbed interface. The program includes edition of text-based PDFs, OCR of image based/scanned PDF's to fully text-searchable PDFs, full document spellchecking, rotate/crop documents, add comments/annotations to any PDF file, QR codes and more. You can apply custom stamps from any image/PDF file/Windows clipboard, mark-up pages with text and objects and add/edit hyperlinks. The program supports export to text or image (BMP/JPEG/TIFF/PNG etc.). 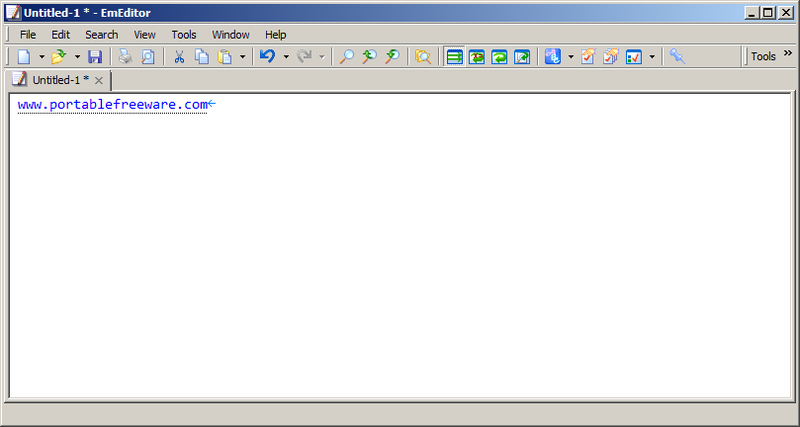 Note: The free PDF-XChange Editor lacks some features present in the registered version (payware). Some "Pro" features can be used, but will add a watermark upon saving. How to extract: Download the "Portable Version" ZIP package and extract to a folder of your choice. Launch PDFXEdit.exe. Disable most available "pro" features via the File menu, select Preferences and choose Registration. Check the box "Hide all licensed features from toolbars and menus". Download language packs from the OCR language page (specifically OCRBaseLangPack.zip for English, Spanish, German and French). Extract these files to a temporary folder, launch the setup process and, when prompted, select the application folder (the same folder location as the PDFXEdit.exe). I had a document with both text and pasted images. While Acrobat Pro kept complaining there was rendered text and wouldn't OCR the available images, PDFXChange got right to it.